The very wet show season is almost over and the sheep have done very well as usual. At the Three Counties we had the Breed Champion, Supreme Champion and Reserve Supreme Champion. 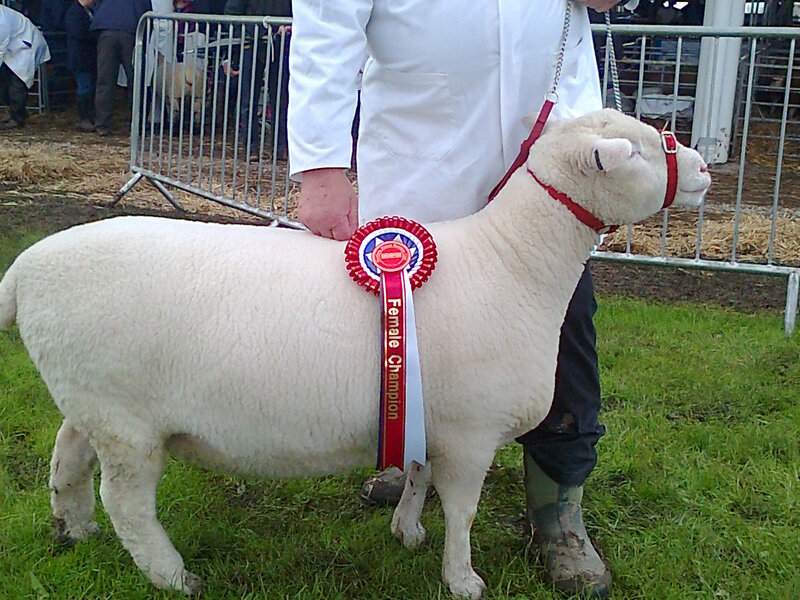 At the Great Yorkshire Show we had the Reserve Supreme Champion. Lucy has taken on most of Janet’s achievements. We continue to have people who have only just heard about the damage caused by the storm so if you haven’t checked your van yet, please do so. The engineers from the two firms are working as fast as they can to prepare estimates so please be patient. Some insurers are still insisting on having their own assessors coming to look at the vans and unfortunately we do not the staff to facilitate this. You will have to make arrangements to meet the assessors and to stay with them while they are on site as with any other visitors organised by you. Please keep us informed as your claims progress so that we can monitor this on going situation. If you haven’t heard there was a severe storm over the site last Thursday with hailstones the size of cricket balls. We have something in excess of 200 caravans with damage – mainly dents on the roofs. We have arranged for engineers to come and prepare estimates for insurance claims. If you have not done so please come and check your van as soon as possible. To view a video of the storm follow this link. This coming Sunday – July 8th. – there will be road closures in the villages that may hamper your access to the site from this direction. Particularly is the closure by the New Inn from 12:30 to 15:30.